As a writer who is looking to submit to agents soon, I was hoping The First Five Pages would give me some insight into the hook that could lead to the acceptance of my book. Additionally, as an individual who also creates and publishes short story anthologies, I hoped this book would give some useful advice for writers to keep their stories out of the rejection pile. Unfortunately, while this book is almost 20 years old, much has changed since its initial publication. Everyone has computers. Word processors and other tools are in abundance. Nobody prints out manuscripts anymore. Split into three sections and a total of 19 topics, this book doesn’t so much tell an author how to avoid rejection from agents and publishers as much as how to write. I will say from personal experience that the one topic on formatting is the most important topic to pay attention to, especially since I’ve rejected tons of submissions that don’t follow the guidelines—albeit for additional reasons besides the formatting ignorance. 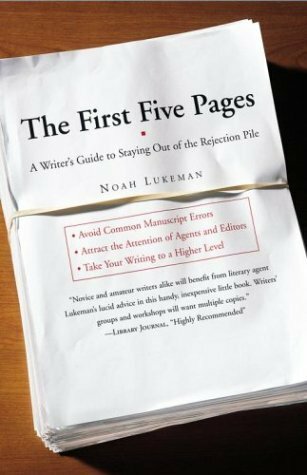 There might be some tidbits in this book that will help an author create a manuscript worth accepting, but they’re buried in so much basic advice that most beginning authors will probably miss them. This is the crux of the problem with this book: it’s not meant for authors who are ready to submit. There’s no nuance in the examples contained in this book, which doesn’t help anything when the topics are so rudimentary as to make me wonder why anyone who still has these problems with their manuscript is submitting to agents and publishers in the first place. If these writers hadn’t already heard the advice to “show, don’t tell,” then there’s no way they’re far enough in their writing career to be able to create a submittable manuscript. Basic writing advice for authors who probably aren’t ready to submit to agents or publishers anyway, I give The First Five Pages 2.0 stars out of 5.